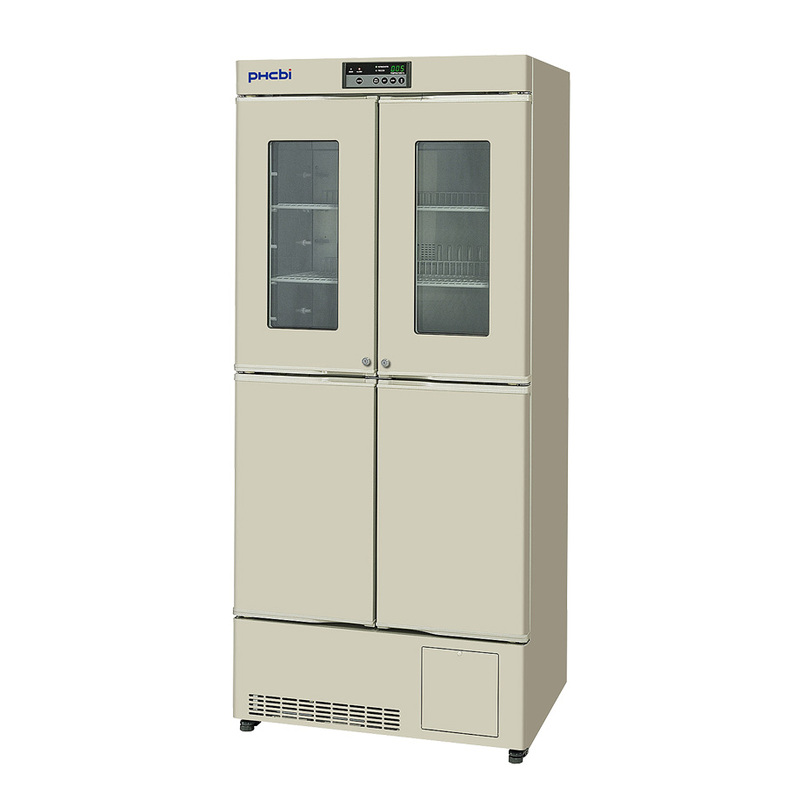 The MPR-414F-PE Pharmaceutical Refrigerator with Freezer is the ideal biologic storage environment for precise control and superior temperature uniformity. 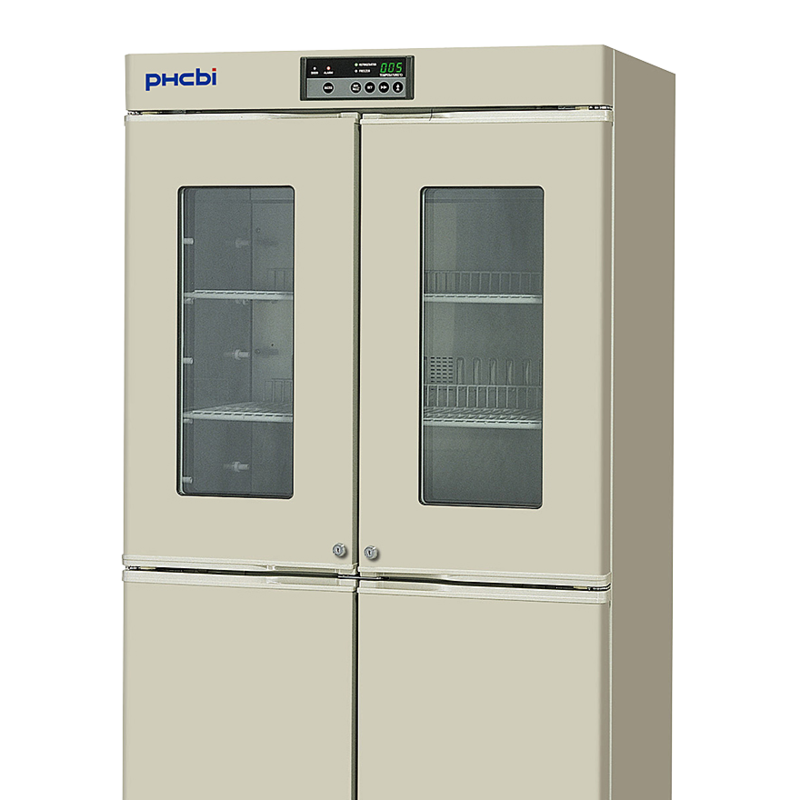 The MPR-414F-PE combines high performance refrigeration, control and alarm/monitoring systems with energy efficient, cost-effective cabinet design. 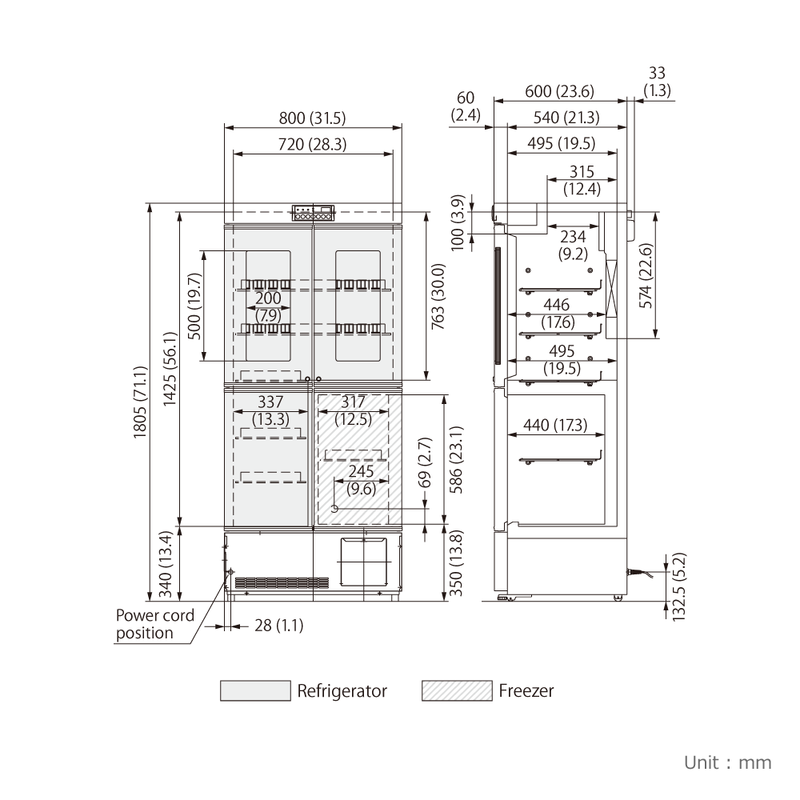 One unit with dual temperature zone needs only minimal installation space. The two door design reduces air loss during door openings. The triple or double-pane windows with heat reflection film reduces the condensation. To provide easier validation services calibration adjustment through the control panel is available. 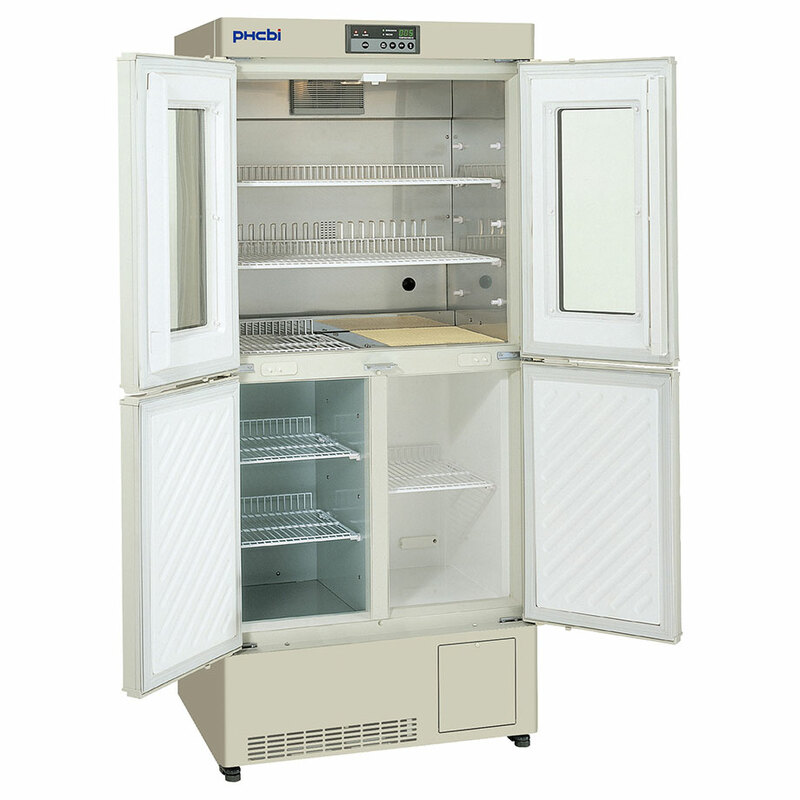 The MPR Pharmaceutical Refrigerators with Freezers have two separate specially designed compressors and offers quiet operation. 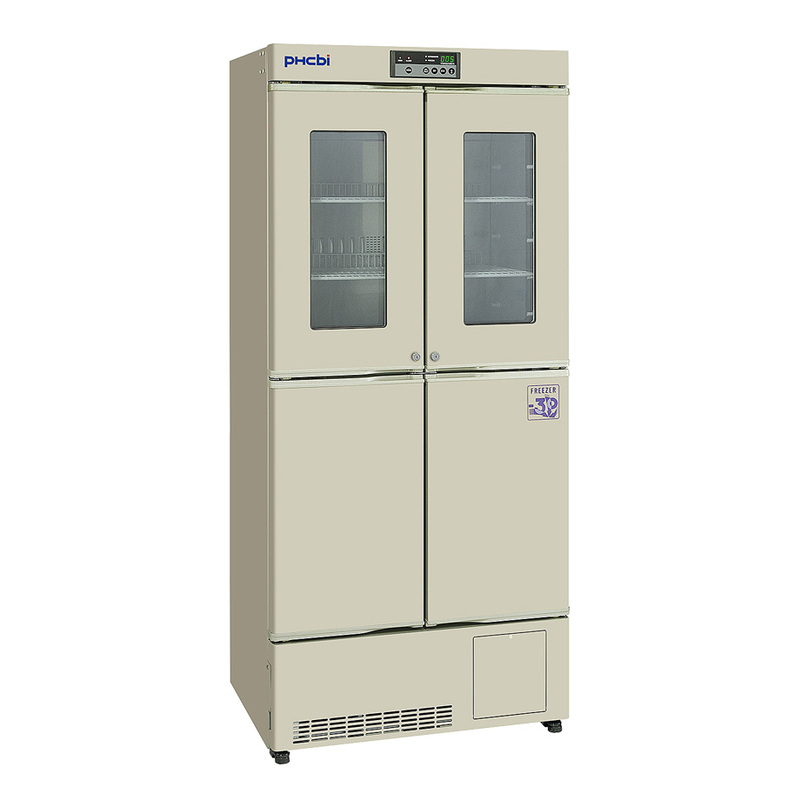 Maintain required temperature range throughout the year. Separate doors for refrigerator and freezer. Large enough to hold year's largest vaccine inventory. Safe and secured storage behind a keyed locking door. Dedicated to biologics, recommended by the Centers for Disease Control. Unique refrigerator defrost system prevents temperature variations during defrost cycle. Secondary temperature deviation safety device prevents over temperature or under temperature condition.